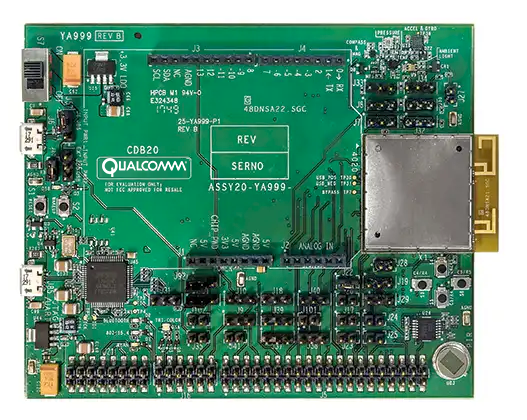 Qualcomm QCA4020 Now Supported by Moddable SDK - Moddable Tech, Inc.
TCP/IP and UDP base socket classes provide a foundation for protocols that run over Wi-Fi networks. HTTP client class for communication with web services that use REST APIs and HTTP server class, allowing embedded devices to host a web interface, e.g. a captive portal. MQTT and WebSocket client classes for low-overhead, bi-directional communication with IoT devices and services. mDNS class for communication between IoT devices on the same local network. BLE client and server classes supporting both central and peripheral roles. Developing a BLE sensor with the Moddable SDK is simplified through the use of a JSON GATT database description. Asynchronous access point connections, including a Wi-Fi monitor to track connection progress. Open and WPA2/PSK authentication modes are supported. The BSSID can optionally be specified to accelerate connections to device targets that support it. Wi-Fi access point scan, configurable to scan all channels or a specific channel. Scan results are delivered asynchronously and include access point SSID, BSSID, RSSI, channel, and authentication mode. Soft-AP mode support, allowing Wi-Fi stations to connect to the QCA4020 device. Configuration options include SSID, password, channel, beacon interval and hidden. Active network connection status information, including IP address, MAC address, SSID, BSSID, and RSSI. Digital I/O, including a pin monitor API, to simplify detecting input pin states and configurable to trigger on rising and/or falling events. Serial I/O access to both the high-speed and debugging ports. Integrated SPI interface for color displays, including support for the popular ILI9341/MIPI driver. Persistent preference storage with built-in integrity checks, supporting fallback to a prior version on data integrity check failure. Read/write access to files on Flash file system. A Qualcomm Developer Network account is required in order to download the required Qualcomm QAPI v3.x SDK. For further details, please refer to our QCA4020 developer guide on GitHub. The Moddable SDK with Qualcomm QCA4020 support is available immediately as part of the Moddable SDK repository on GitHub. The Moddable SDK is available for use with either a FOSS (Free and Open Source Software) license or a commercial software license. Additional information on both licenses is provided on the Moddable website.